Like heaters in your boots! Give your feet an extra layer of comfort and warmth with our alpaca boot inserts. 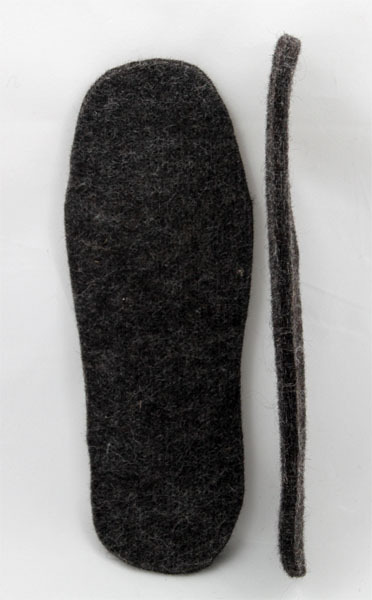 These alpaca felt inserts are naturally hypoallergenic, odor resistant, and over time will mold to create a perfect fit. 3/8" thick. One size fits most; trim to fit. Made in USA from New England Alpaca Fiber Pool members' fiber.